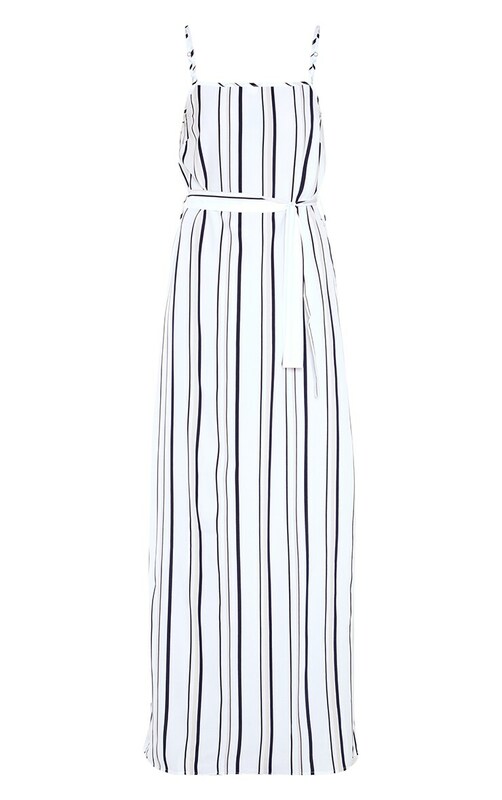 It's all about stripes this season and we are obsessing over this dreamy maxi dress. Featuring a blue striped fabric with a square neckline, tie waist and a floor-sweeping length, what's not to love? Style with platform sandals for a look we're loving.